Just one visit to Ford dealers in Southern California, and it’s obvious the Ford F-150 Raptor is unusual. The truck looks different from the other Ford F-150s, and for good reasons. Not only has it been built for serious off-road adventures, this performance truck is just an all-around monster. Take one for a test drive and you’ll immediately appreciate why the Ford F-150 Raptor has a stellar reputation. Most people are drawn to the Ford F-150 Raptor because it’s powerful and fast. If you have a craving for performance in pickup truck form, this is the right vehicle to choose. It will liven up any drive, whether you’re heading to work or ditching civilization for the weekend. To start off, Ford worked hard to lean down the Ford F-150 Raptor. By altering things here and there, it was able to shed almost 500 pounds from the curb weight versus the previous generation of this truck. Part of how that was possible is the high-strength, military-grade, aluminum-alloy body panels. Of course, the shining star for this truck is the high-output twin-turbo, intercooled 3.5-liter EcoBoost engine. It connects to a 10-speed automatic transmission, which channels the peak 450 horsepower and 510 lb.-ft. of torque to all four wheels. 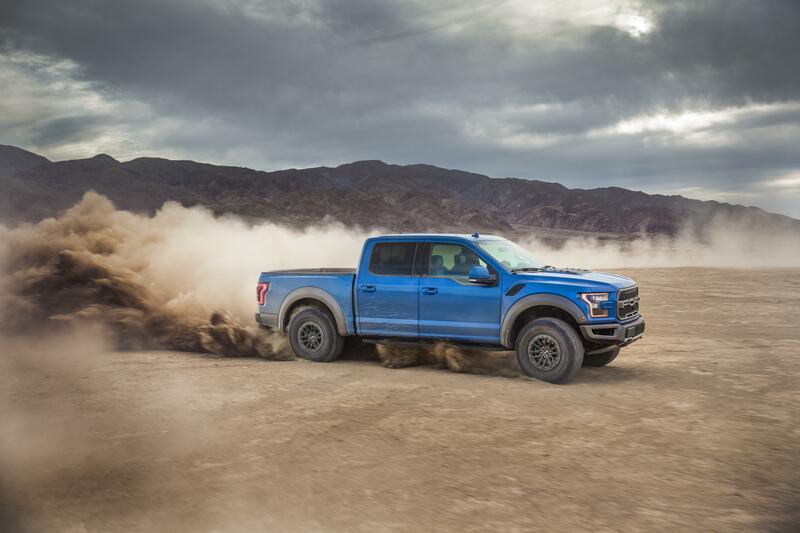 While the Ford F-150 Raptor certainly is a powerful and fun-to-drive truck, what many people don’t realize is it also excels in its many capabilities. When you need to get somewhere rugged, this is the truck to take. It also is great at hauling and towing. You can get beadlock-capable wheels for superior off-road performance. They’re designed to allow for airing down the tires to a low psi, which aids with traction on certain off-road surfaces. With normal wheels, that low psi can make the tires pop off, but beadlocking means the tires are actually clamped to the wheels, eliminating the risk. This truck can take some huge hits and climb over challenging obstacles without problems, thanks in large part to the FOX live valve shocks. They build off the design of the previous shocks, automatically adjusting damping to the terrain demands. The secret is internal bypass monotube shocks with an electronically controlled solenoid valve, which is how the shocks have continuously variable compression damping. Although it’s not a luxury vehicle, the Ford F-150 Raptor still provides all the comfort and convenience you need in a truck. You won’t be suffering, even if you need to go on a multi-day journey, because this pickup is all about treating you right. Enjoy creature comforts like dual-zone automatic temperature control, heated front and rear seats, ventilated front seats, SiriusXM satellite radio, rain-sensing wipers, and more on your next adventure. It’s a great way to recharge after playing or working. 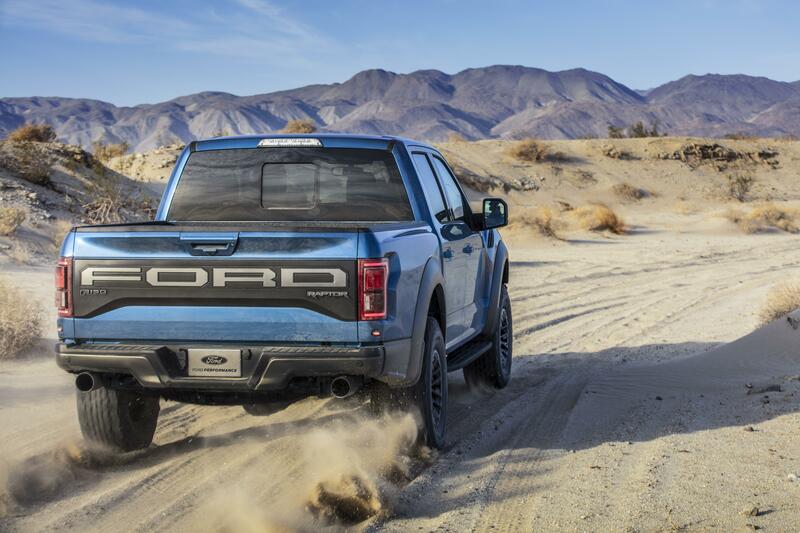 Now that you know more about what the Ford F-150 Raptor has to offer, it’s time to act. Contact your Southern California Ford Dealers to arrange for a test drive and let us help you find your vehicle today!